We've proudly been featured more than once in About.com Home's excellent articles on color and interior design tips, and we're huge fans of Diana Hathaway Timmons, About.com's Color Expert. Since Diana's got such a keen eye for color, and feng shui is so intimately linked, we thought we'd ask her a few questions and feature her! AC: What are three key tips one should consider when painting a color for their home? DHT: Choosing paint color for your home is such a personal decision, but everyone can benefit from a few tips to make it stress-free. 1. Don't get overwhelmed by your color choices. Narrow down your color choices as quickly as possible so that you're working with the smallest number of options. Look to your favorite paint brand for special palettes that were curated into smaller collections. These collections can help you narrow down your choices so that you're not trying to choose between 200 shades of blue. 2. Study the trends, but choose the colors you love. Color inspiration from the latest trends can help you get ideas for your color palette, but they're just a starting point. The paint colors you choose will be with you 24/7, so choose what you love, (even if it's not trendy.) If you love some of the on-trend colors but don't want to commit them to your walls, you can always go neutral or white with your paint and add color accents with decorative accessories. 3. This tip isn't really glamorous, but it's such a necessity when you're choosing paint color. Be sure to sample and test wall colors before committing. Factors like lighting and sunlight can affect how your paint color looks. Even your flooring or cabinets can completely derail a color scheme, so take the time to sample your paint color. What colors do you have in your home and workspace, and why? My walls at home and in my workspace are pretty neutral in Sherwin-Williams Honied White. A neutral color flowing through the house gives me more freedom to play with color in furnishings and decor. My workspace is also neutral because I work so much with color that there is always something colorful on a shelf or hung on the wall, and some of my own artwork and photography. The master bedroom has a fabulous accent wall that I just added in Farrow & Ball Dix Blue. The room is pretty plain and boxy, so an accent wall was essential. Dix Blue works perfectly with the whole-house color palette of aqua, gold, and brown. I love this color palette because it reminds me of the beaches in Southern California, where I grew up. 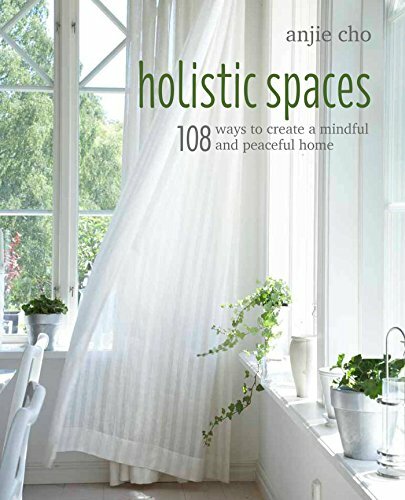 How have you created a holistic space for yourself? My holistic space is my living room. It's an open space with high ceilings and three large windows looking out at a Japanese maple and flowering plum tree. There are no electronics in the room, just cozy furniture. I use the living room as a quiet space where I plan and daydream. The room's afternoon light streams in from the west. Though I'm from California, I live near Seattle now, so every little bit of sunshine is a relaxing luxury for me. Diana Hathaway Timmons is the color expert for Color.About.com, a lifestyle writer, and designer. Color is her passion, reaching millions of people with her color expertise. Diana's has contributed to publications and websites that include Huffington Post, MSN, BHG, and Reader's Digest, and she has authored the book, "Sell Your Home Without Losing Your Zen."